When faced with a need for quick cash between paychecks, Kansas residents need only to click on CashLoan.org from the comfort and convenience of their home computer and apply for a cash advance loan. The process is fast, easy, and confidential. Simply fill out the application and within 90 seconds you can be approved for a cash advance loan. After the approval, it only takes about an hour for the funds to be deposited into your account. Now that’s service! There’s no need to wait until your next paycheck to take care of your financial emergency- a cash advance loan is just a click away. Residents in most states can take advantage of CashLoan.org’s reliable, confidential and secure service. Simply APPLY NOW online or contact us today! Kansas has laws on the book that specifically target the authorization of cash advance loans. The practice of loan splitting (dividing one loan in half and then charging fees for both loans) is strictly prohibited. Borrowers may not have more than two outstanding payday loans at a time. Within a 30-day period, lenders may not issue more than three loans. While civil action is allowed, payday advance lenders may not pursue criminal action against a borrower. 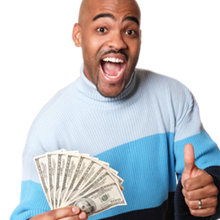 $500 is the maximum payday advance loan. Finance fees cannot exceed 15% of the amount borrowed.